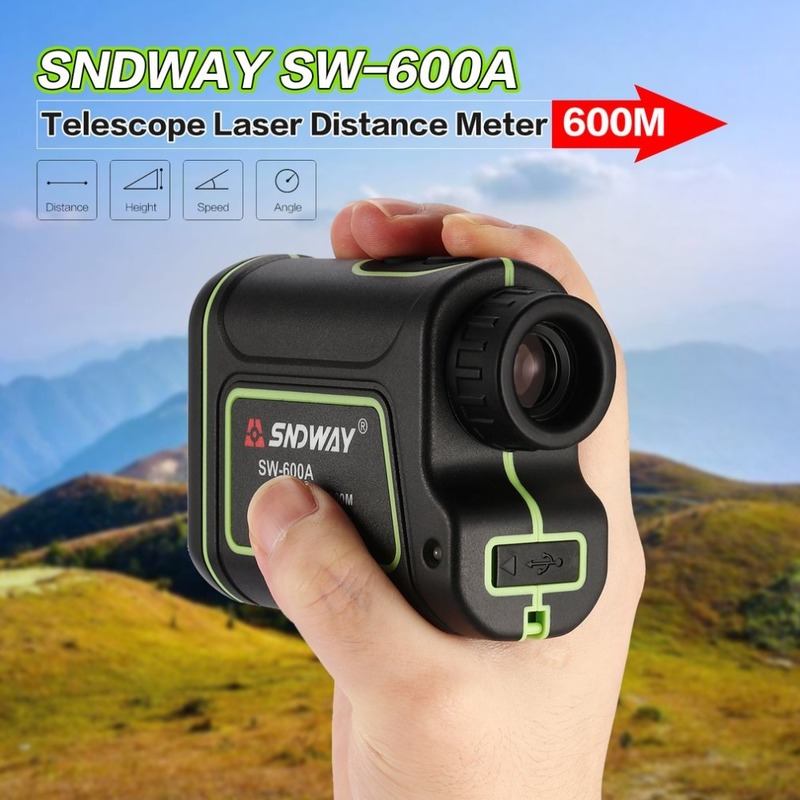 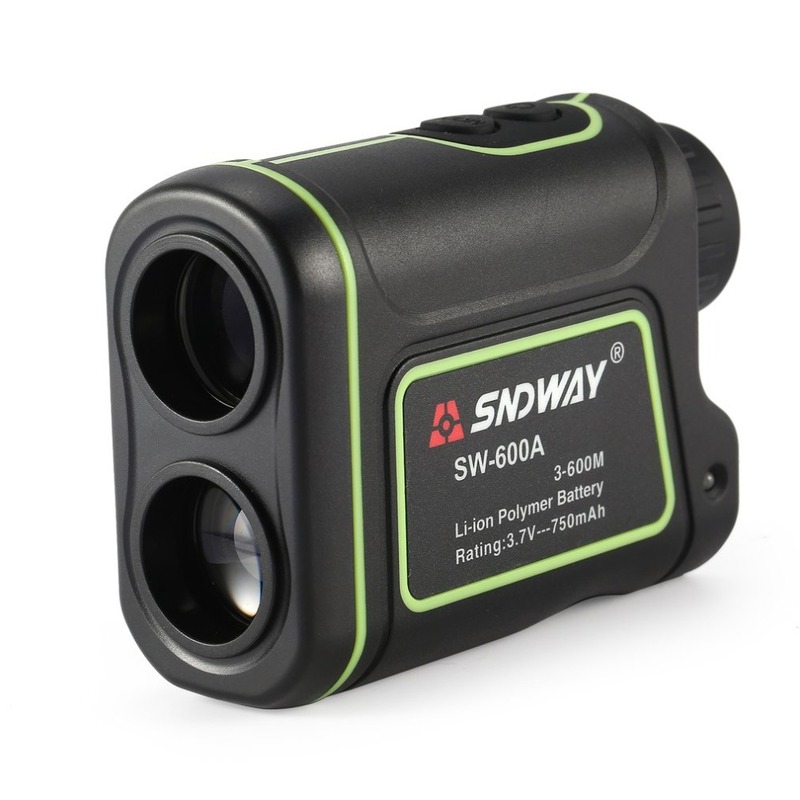 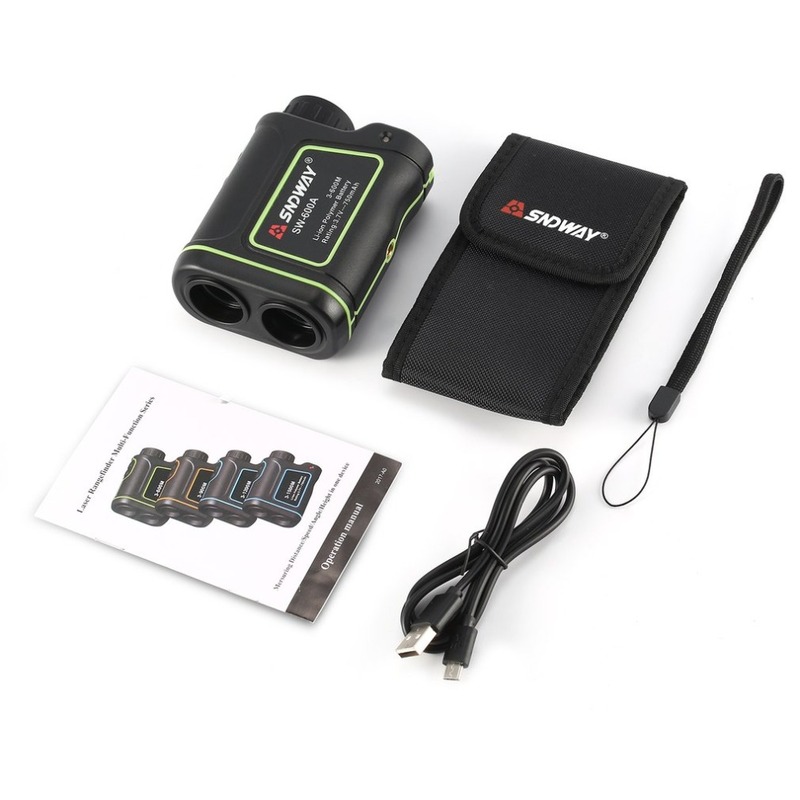 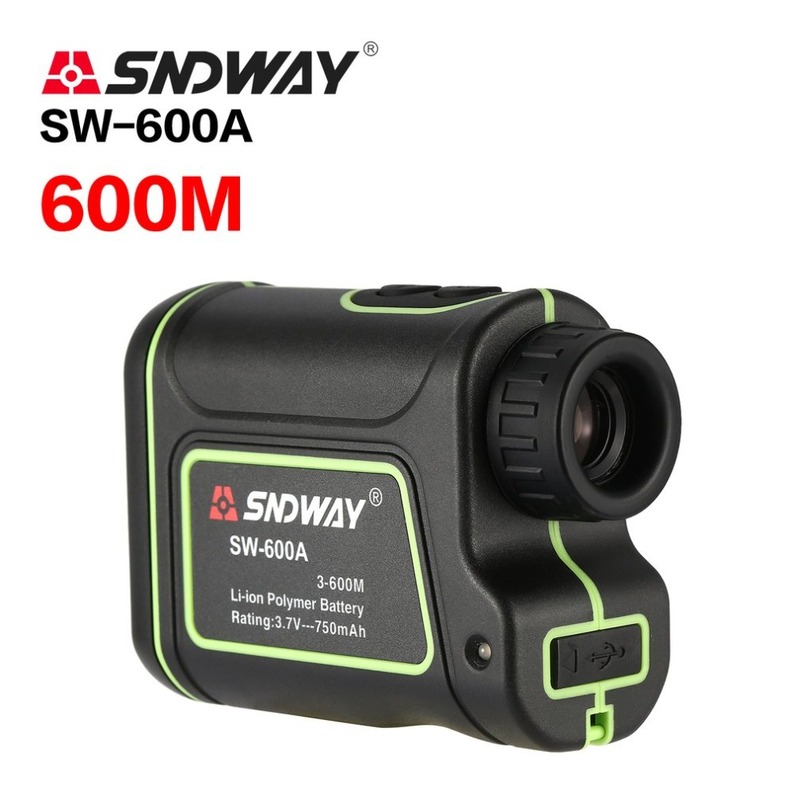 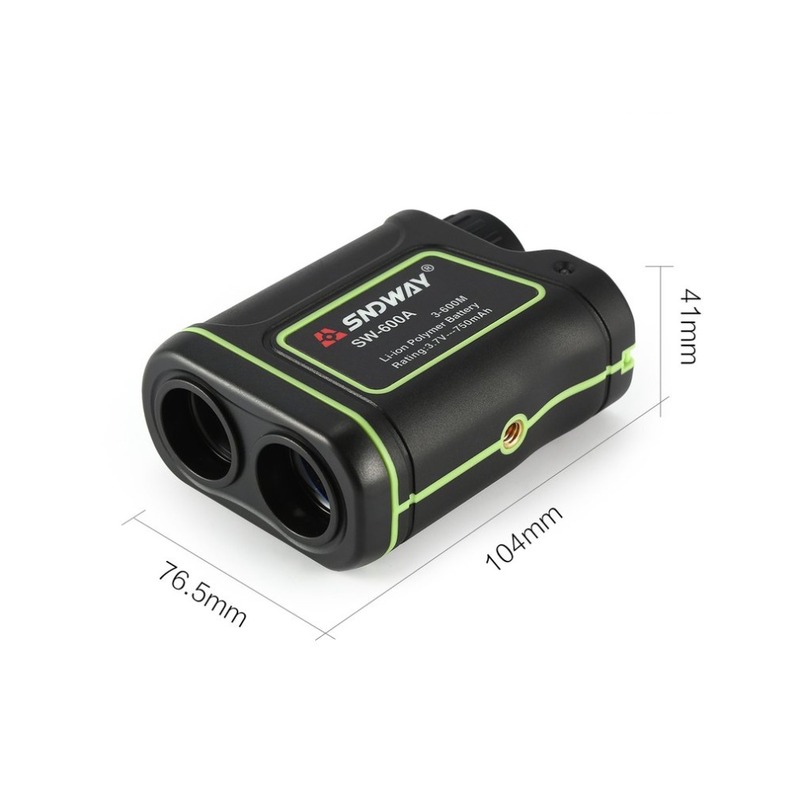 This SNDWAY laser distance meter telescope is specially designed to the measurement of distance,speed,height,angle. 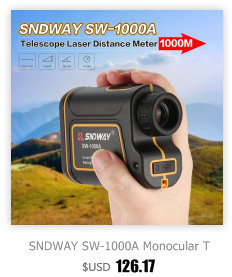 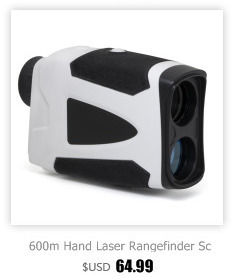 7 optical lens,high accuracy ±1m,hand-held and easy to operate. 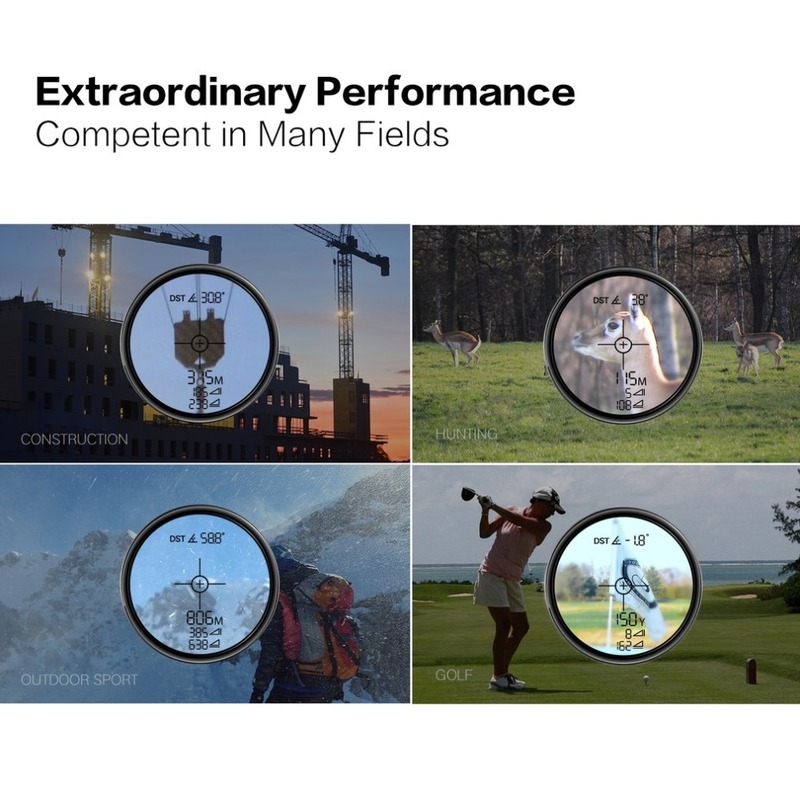 A effective assistant on marine terminal,electricity,counter terrorism/military,real estate,leisure/outdoor sports. 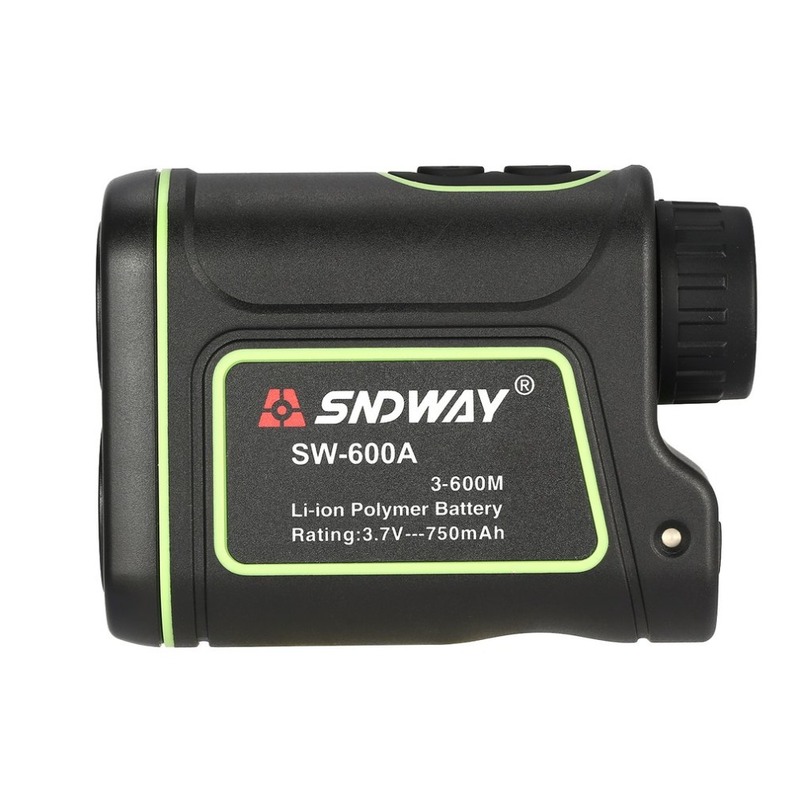 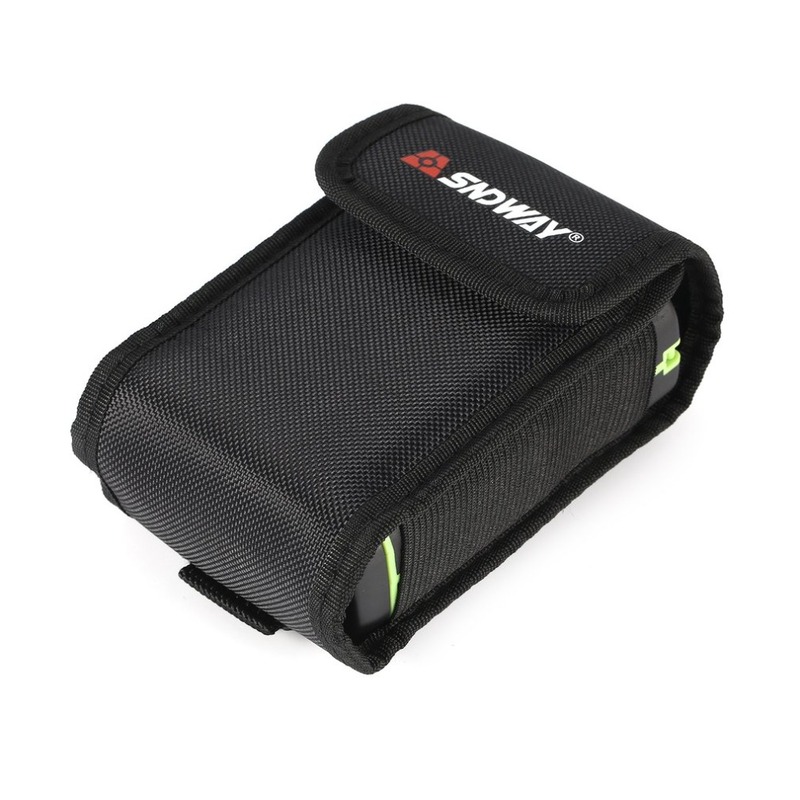 It is compact,lightweight and very easy to operate. 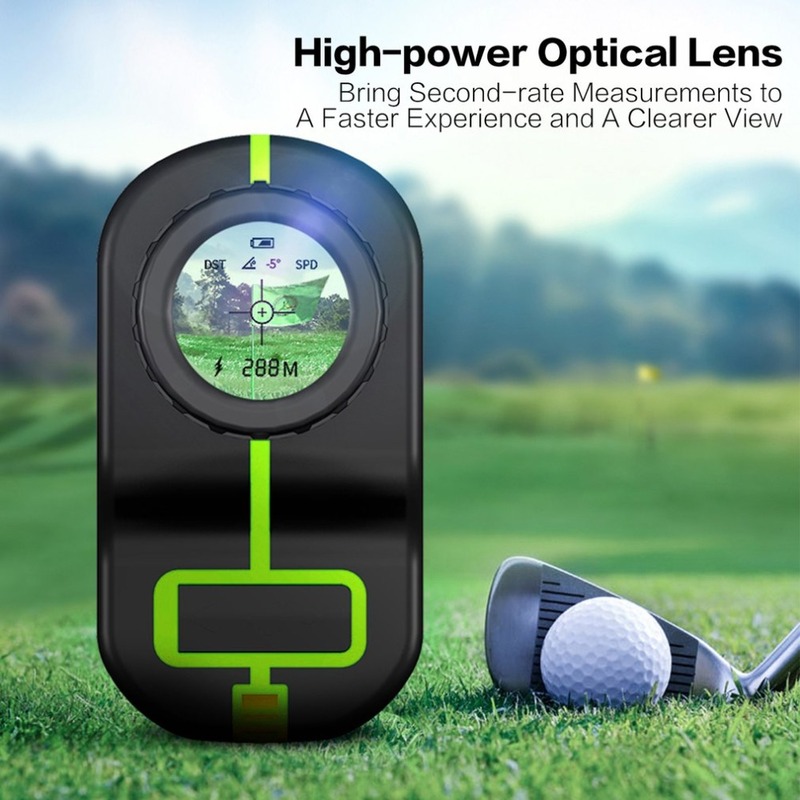 The auto switch off,combined with low power consumption,ensure optimal battery life. 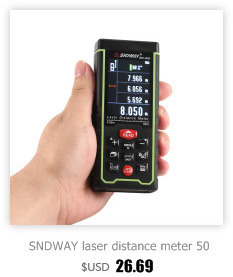 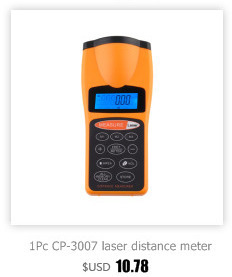 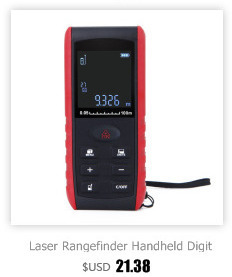 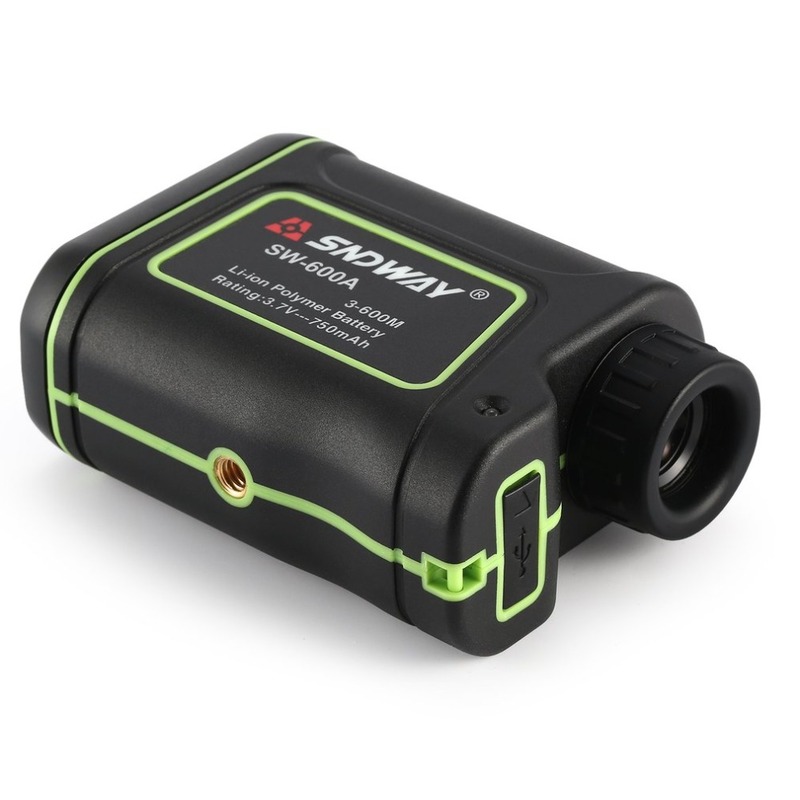 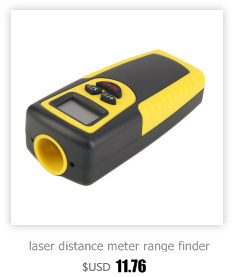 High accuracy, short time Distance measurement and display power consumption. 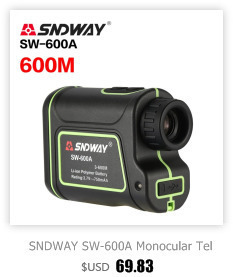 Adoption seven-fold optical lens for seconds to measure speed and clearer vision. 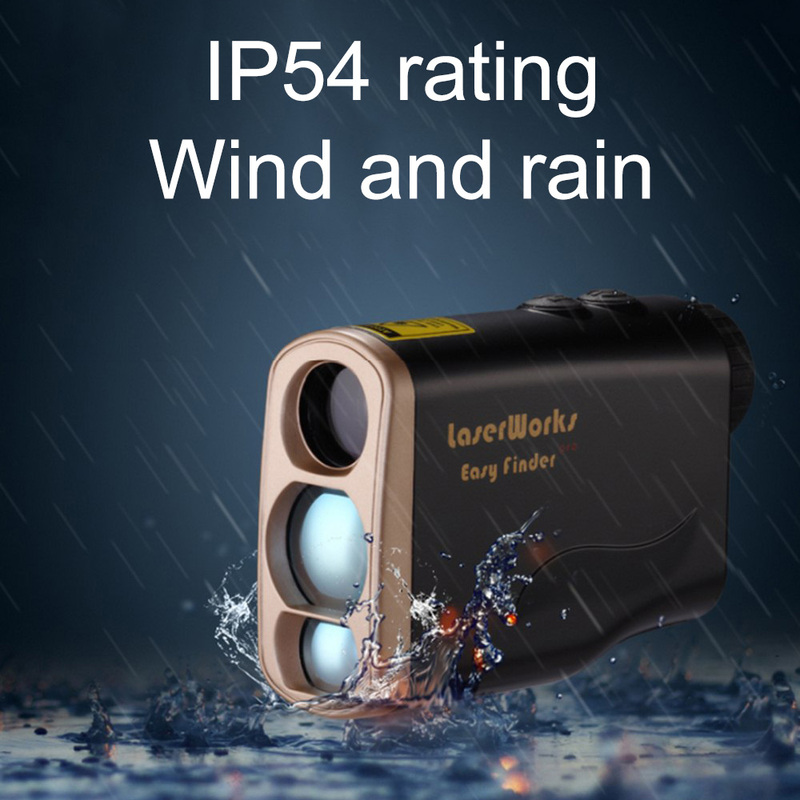 Rotate the focus, the farther it becomes clearer,IP54 security. 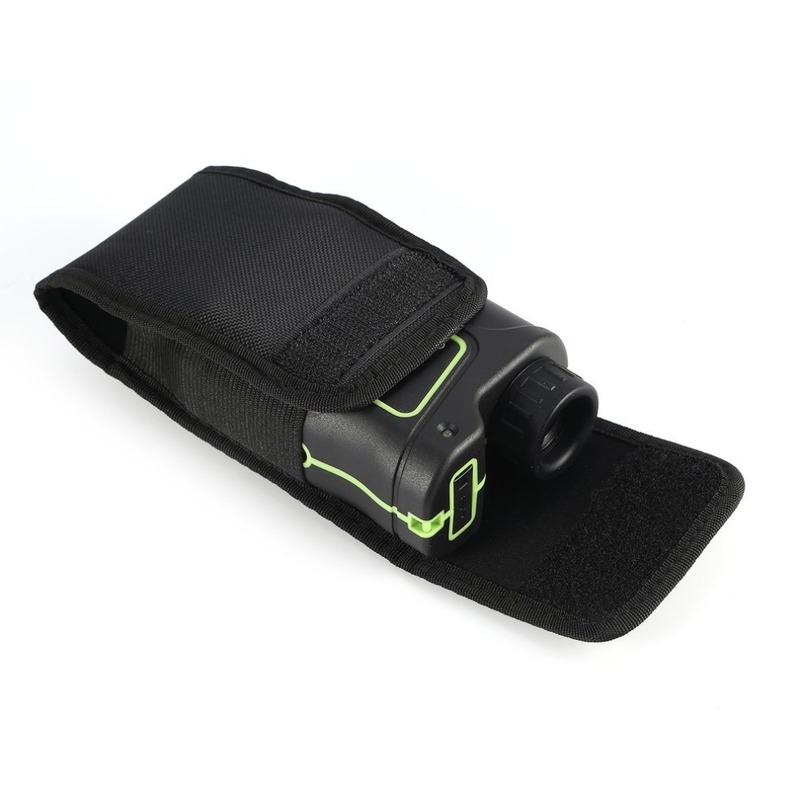 Dioptre Adjustable Range: 3° Objective caliber:24mm. 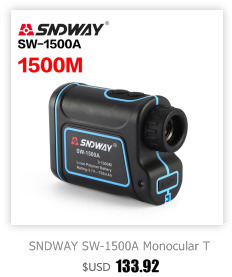 Eyepiece caliber:16mm. 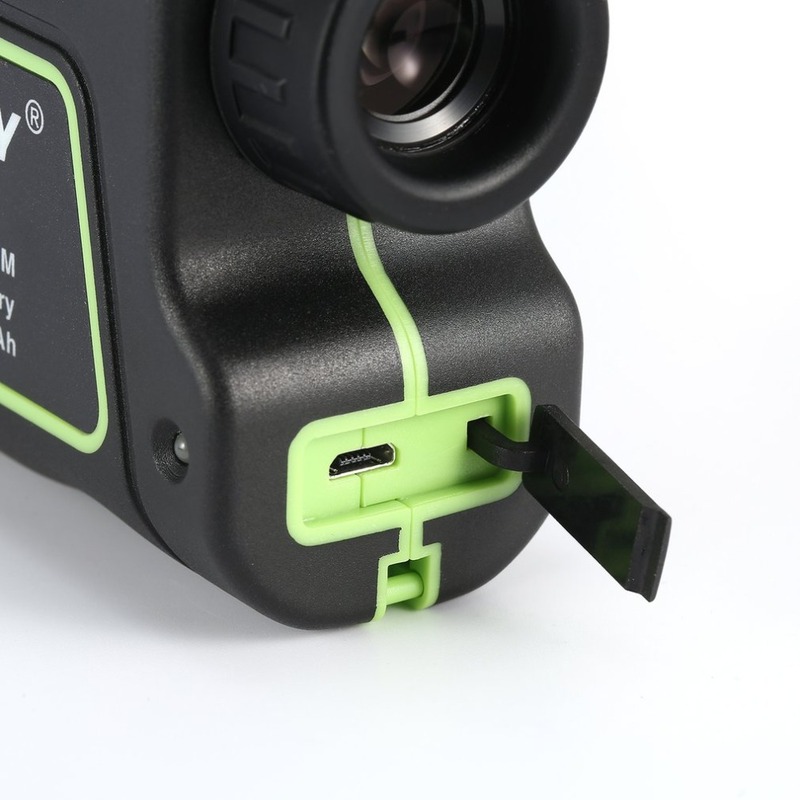 Exit pupil caliber:3.8mm.